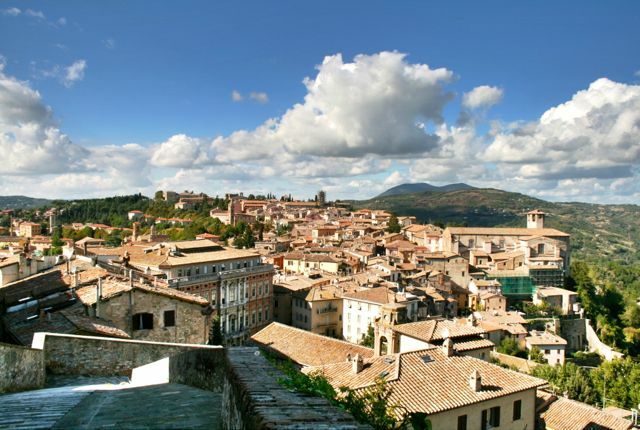 Perugia is the capital city of Umbria, it is relatively unknown compared to neighbouring Assisi and the famous towns of Tuscany. 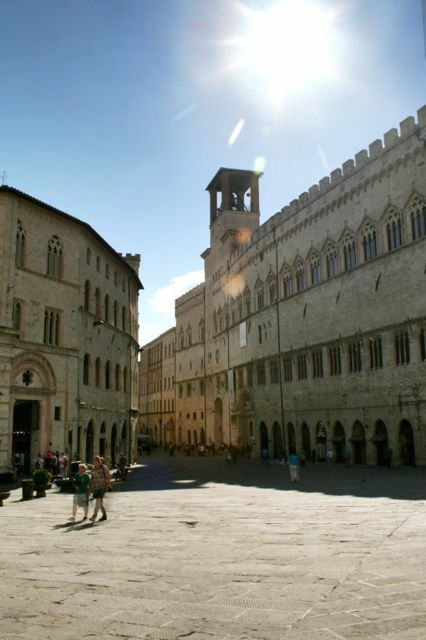 Its absence from the tourist radar and large centro storico (historic centre) mean that it is not crowded with visitors, making a visit to Perugia all the more enjoyable. There are lots of interesting things to see in Perugia, the Underground City, the National Gallery of Umbria, Perugino’s frescoes in the Collegio del Cambio, the Piazza IV Novembre, the Etruscan Gate, the Etruscan Well, Raphael’s fresco in San Severino and the Oratorio di San Bernardino di Siena, a church with with a beautifully carved facade. You can buy a single ticket that gives you access to the National Gallery, the Collegio del Cambio, the Etruscan Well and San Severio, the other places can be seen without an entrance ticket. You see all this and more by following the Perugia City Walk in my book, Circular Walks On The Tuscany Umbria Border, available as an e-book from Amazon. This is all that remains of the papal fortress, the Rocca Paolina. When Pope Paul III took over Perugia he built his fortress directly over the houses of the previous rulers, the Baglioni family. The roofs were removed and huge brick vaults were built over the top, creating storerooms and, I assume, dungeons to put the Pope’s enemies in. 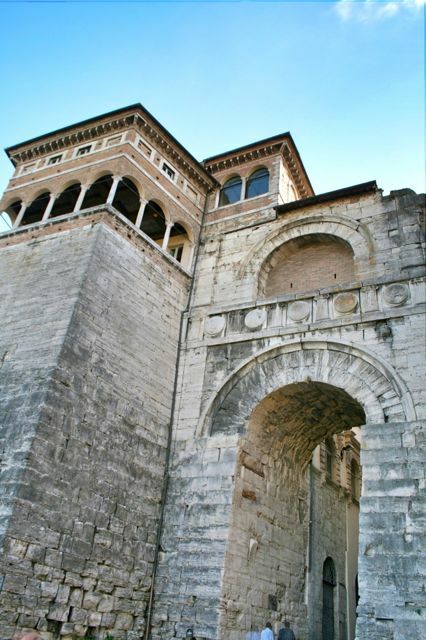 The architect also moved an Etruscan gate, the Porta Marzia, and incorporated it into the lower wall of the fortress. 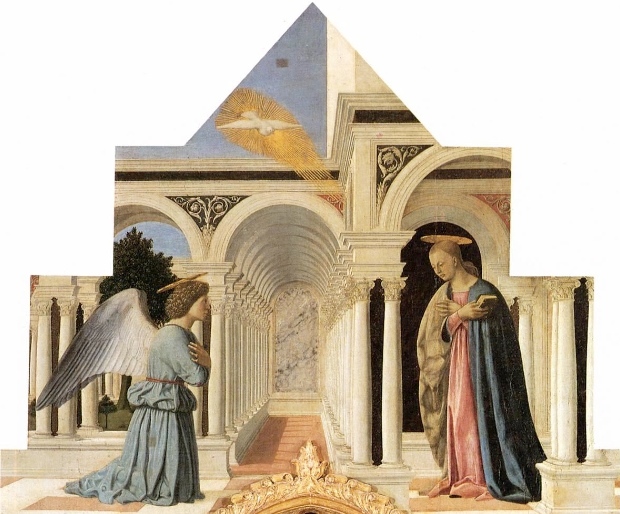 Located on the third floor of Palazzo dei Priori, the National Gallery of Umbria houses a fine collection of art with works by Duccio di Buoninsegna, Gentile da Fabriano, Fra’ Angelico, Piero della Francesca, Pinturicchio and Perugino. In addition, one of the rooms is frescoed with a medieval city scape of Perugia that shows fortified towers similar to those in San Gimignano in Tuscany. Also located in the Palazzo dei Priori (separate ground floor entrance), the room of the Collegio del Cambio (money changers guild) has Perugino’s finest fresco in Perugia. Covering four walls and the ceiling, the fresco juxtaposes figures from classical history with those from the bible set against unmistakably Umbrian landscapes. The unfinished side of the Duomo and the end of the Palazzo di Priori face each other across Perugia’s main square, Piazza IV Novembre, the centre is dominated by the Fontana Maggiore, a medieval fountain that was supplied by a specially built aqueduct. The panels of the fountain are carved with scenes from Aesop’s Fables, zodiacal signs and labours of the month as well as scenes from the bible. A short walk past the front of the Duomo takes you to the Pozzo Etrusco, or Etruscan Well. It is unknown how deep this massive structure is as it has become partially filled with rubble. 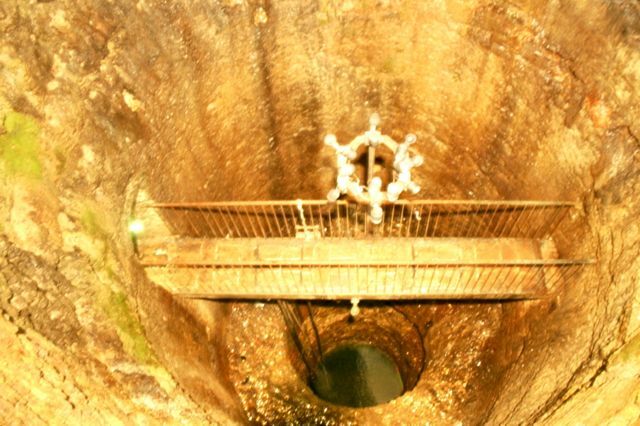 You can stand on a bridge across the well (six people at a time) and admire the Etruscan’s engineering techniques. Another short walk takes you to the church of San Severo where you will find a fresco by the young Raphael. In fact, he only completed the top half of the painting before being called away to work in Siena, Florence and Rome, never to return. 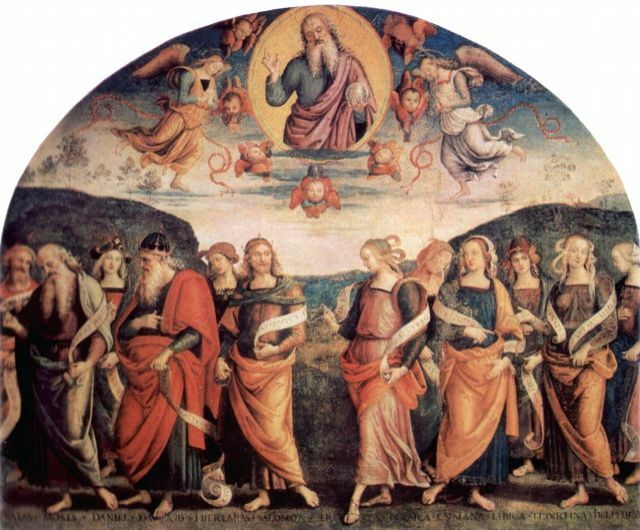 After his death, his elderly teacher, Perugino, completed the fresco but if you compare it to the frescoes in the Collegio del Cambio he was clearly past his prime. The north entrance to the centro storico is through a massive Etruscan gate, the giant blocks in the lower wall are typical of Etruscan walls. 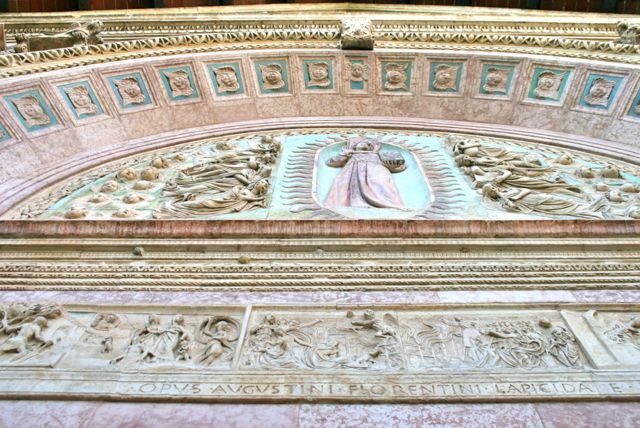 If you look at the top of the gate you will see that the adopted son of Julius Caesar, Octavian, or Augustus Caesar had “Avgvstvs Pervsia” carved into the arch when he captured the city after a siege. 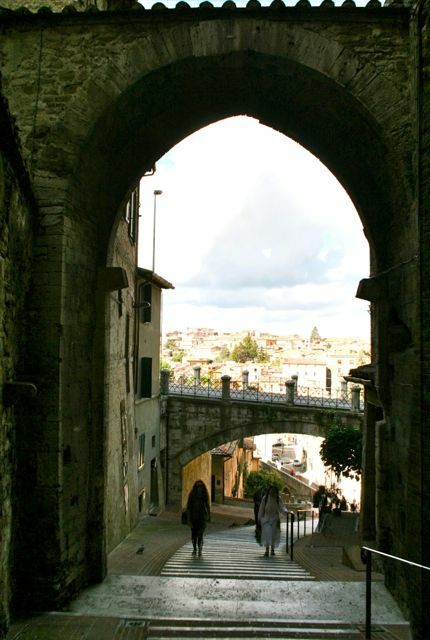 The northern entrance to Perugia, the Etruscan Gate. From here, it’s a few hundred metres to the medieval aqueduct, now a pedestrian walkway that takes you back up to the city centre. 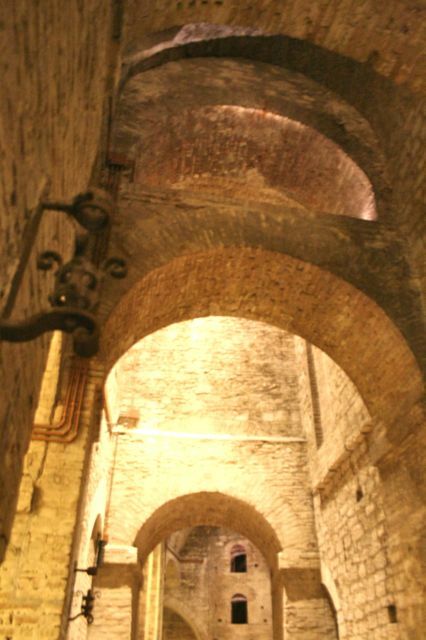 The aqueduct brought water from the nearby hills to the north of Perugia and supplied the Fontana Maggiore with water. The water must have been piped in a giant siphon because it would have flowed uphill at the end of the aqueduct. Carved by a Florentine sculptor, Agostino di Duccio, the facade of this church depicts scenes from the life of San Bernardino di Siena. Cleverly, the carvings change from relief (flat) at eye level, to a much more pronounced three dimensional shape as your eye travels upwards. This compensates for the effect of perspective and makes it easier to pick out details higher up.